Interested to go on a spiritual journey? Come and experience the beauty of one of the biggest Chinese temple in South East Asia. 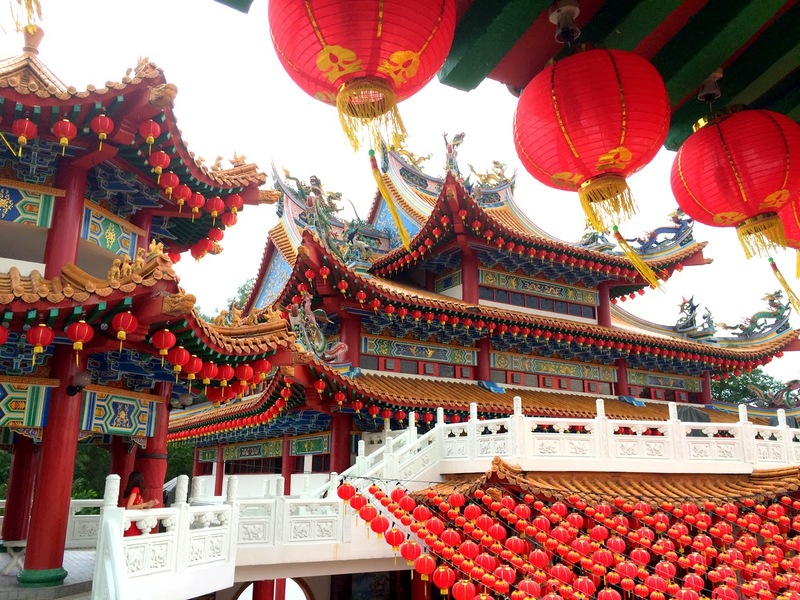 The 6 tiered colossal architecture beauty overlooking gorgeous views over Kuala Lumpur, this six-tiered temple is posses a mix of Buddhism, Taoism and Confucianism beliefs and design. Built in the early 80’s, the display of hundreds of Chinese lanterns makes this spot a photographers spot here in Kuala Lumpur. Filled with statues and figurines, this is a small quiet getaway from the hectic city to sneak in a moment of serenity and beauty. During the Chinese New Year, this temple is filled with events and crowds to come and send prayers for the new year. 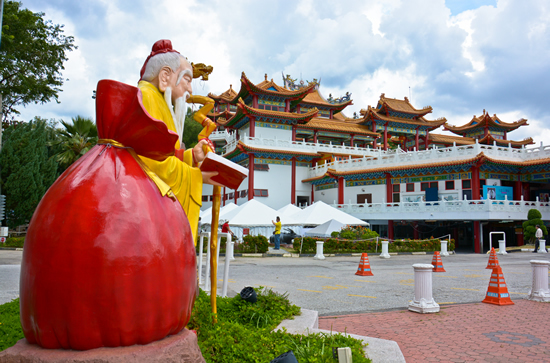 Aside from that, Thean Hou Temple is a popular wedding venue among KL’s Chinese locals and even conducts fortune telling readings as well as traditional Chinese exercise and martial arts activities such as Qigong, tai-chi and wushu classes. Getting to the location itself via monorail would need you to walk beside heavy traffic to the opening junction of the temple. Since the temple is located up on the hill, the hike up would be quite tiring for some and I would suggest you to use Grabcar or Uber to get to the destination. However, if you dont mind the walk up, it is much safer to do it in the morning or evening. I would not recommend for you to walk up there at night because it is rather quiet and dark. Directions From TravelHub KL to Maharajalela Monorail Station. Head out the door and tun left. Walk straight and you will arrive at a junction. Turn right and walk towards the main road and then, walk along the traffic. You will arrive at Maharajalela monorail station. Board the train heading to KL Sental. Your stop is Tun Sambathan monorail station which is 1 stop away. Once you arrive at Tun Sambathan Station, cross the bridge and head towards Kuen Cheng School. The school will be on your left. You are now walking with the traffic on the other side of the road. Walk ahead until you reach a split road. Head straight and you will see a signboard at the junction where it points you to the direction of the temple. Follow the sign and you will arrive at the temple.